SOUTHERN UTAH – It’s December and Southern Utah is already looking festive. With Thanksgiving behind us, it’s time to start looking forward to the Christmas holiday season. When there are so many fun things to do during the holidays that can’t be enjoyed during other times of the year, start infusing some holiday spirit into your routine, and get ready for a fun-filled winter season! Have the jolliest holiday and get into the Christmas spirit with our guide to festive events, activities and shows in Southern Utah this Christmas. 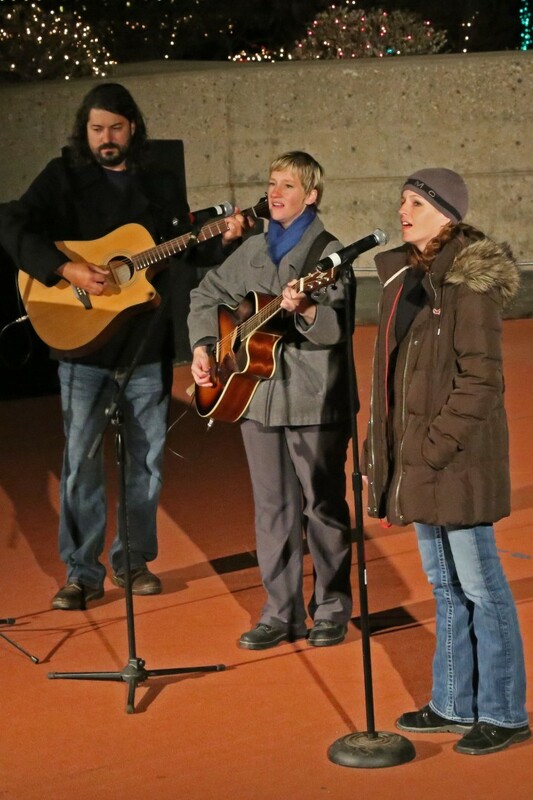 Tuacahn’s Christmas in the Canyon with Festival of Lights and Live Nativity – Ivins | Monday, Thursday, Friday and Saturday evenings through Dec. 23 | 6:30-9 p.m. | Telephone: 435-652-3300 | Tuacahn’s Christmas in the Canyon brings its Festival of Lights and festivities in the Tuacahn Plaza free to the public. A Live Nativity is also presented each night in the Amphitheatre at 7 p.m. and 8 p.m. and the cost is $2 or $15 per family. Visitors can see the lights and listen to holiday music on the Tuacahn Plaza or sit by an open fire and sip hot chocolate from Tuacahn’s concession stand. Enjoy a holiday train ride on the Ruby’s Inn Old Salty Train for $2. What’s more, near the entrance to the Gift Gallery, parents can bring their children to see Santa Claus from 6:30-9 p.m.
Christmas in Dixie – Washington | Dec. 2 | 5-8 p.m. | Nisson Park, 251 West Telegraph, Washington | Christmas in Dixie and the annual lighting of the Washington City Christmas tree. School choirs will sing Christmas carols, hot chocolate will be served, and the city tree will light up. This is a free event to get the family into the Christmas spirit. Be sure to dress warm and to also visit the historic Covington Home at the corner of 200 N. 200 E. in Washington to see Santa. Christmas in Town Square Park – St. George | Dec. 2-5 | 5-7 p.m. | Telephone: 435-627-4560 | There will be games, crafts, hot chocolate and Santa Claus, and of course the St. George Carousel. Each night live entertainment will be provided by the City of St. George, Washington County School District, Washington County Library or the St. George Children’s Museum. On Monday, Dec. 2, there will be an official tree lighting ceremony for the lights in Town Square Park. Don’t miss out on this fun family event! Winsor Castle by Night – Fredonia, Ariz. | Dec. 3 | 5-8 p.m. | Telephone: 928-643-7105 | Add Victorian charm to your holiday season with a starlight visit to Winsor Castle, the historic fort at Pipe Spring National Monument in Fredonia, Ariz., which will be lit by the soft glow of lamps that capture the nostalgic feel of yesteryear. Warm up at the Chuckwagon with hot cider, dress warmly and bring a flashlight. The National Monument-Kaibab Band of Paiute Indians Visitor Center and Museum will also be open. Admission is $5 for adults and kids 15 younger are free. The Oak Ridge Boys Holiday Concert – Cedar City | Dec. 3 | 8 p.m. | Telephone: 435-586-7872 | This holiday concert will be held at the Southern Utah University Centrum in Cedar City as part of The Oak Ridge Boys’ “Christmas Time’s a Comin'” 2013 tour. Dickens’ Christmas Festival – St. George | Dec. 4-7 | 10 a.m. to 9 p.m. | Telephone: 435-688-2990 | Step back in time and enjoy the sights and sounds of 19th century London at the Dickens’ Christmas Festival. The Festival is a unique and unusual entertainment and shopping experience. Guests wind through narrow village streets as they shop for gifts and rub shoulders with a cast of Dickens’ characters such as Tiny Tim, Scrooge and even Queen Victoria. Old English shops, hundreds of period costumes, orphans, royalty, and the “real” Father Christmas all combine to offer guests a holiday experience like no other. Admission, which includes entertainment and plays, is $6.00 for adults, $4 for seniors 65+ and children ages 4-12, and children 3 and under are free. 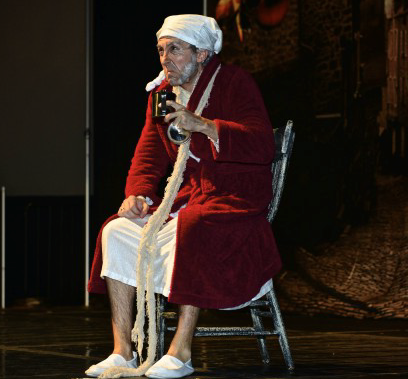 Nightly plays include: Oliver Twist at 6 p.m. and Scrooge at 8 p.m.
Dixie State 38th annual Student Christmas Ceramic Exhibit and Sale – St. George | Dec. 4-6 | 9 a.m. to 5 p.m. | Telephone: 435-652-7795 | This annual Dixie State holiday tradition held at the DSC North Plaza Art Building, 55 South 900 East, features the work of several art program students who use the sale to help pay for their college education. Hundreds of hand-made ceramic and pottery pieces, including a variety of artistic and functional stoneware, will be on sale at reasonable prices, with 20% of all proceeds going to support the DSU art department. A Holiday Festival of Trees – Cedar City | Dec. 5-7 | Noon to 6 p.m. | Telephone: 435-865-8674 | Randall L. Jones Theatre | A community celebration of caring and giving is planned when Southern Utah University’s Department of Theatre Arts and Dance presents a holiday Festival of Trees. This family event is held in the lobby of the Randall L. Jones Theatre. Dec. 7th will also bring a host of other activities within the theatre. While donations of canned goods are requested to be brought to the theatre to benefit Iron County Care and Share, all events are free and open to the public. Z-Arts annual Gala – Springdale | Dec. 6 | 6-10 p.m. | Telephone: 435-772-3434 ext. 313 | Enjoy an elegant evening of wine, food, friends and dancing music at the Zion Canyon Arts and Humanities Council annual Gala. This much anticipated annual gathering held at Switchback Restaurant, 1149 Zion Park Blvd., is their largest attended event of the season. Ticket prices are $50 for members and $55 for nonmembers. Join Z-Arts online and become a member. Community Tree lighting – Moab | Dec. 6 | 5 p.m. | Telephone: 435-259-7814 | This is the annual tree lighting for the community held at Swanny City Park, 400 North 100 West, Moab. There will be music, Santa and hot cocoa and cookies for the kids. Christmas Treasures at Bumbleberry Theatre – Springdale | Dec. 6-7 | 7-9 p.m. | Telephone: 435-772-3224 | As the holiday season begins, enter the “World of Enchantment” and enjoy the magic of Christmas with cherished memories of the past from Bing Crosby, The Carpenters, and many more expressed beautifully through song and dance. Catch the holiday spirit as you enjoy this wonderful “Christmas Treasures” live performance. Performances will be held every Friday and Saturday through Dec. 21 with a special 2 p.m. matinee on Saturday. Hurricane Valley Christmas Tree Festival – Hurricane | Dec. 6-7 | noon to 9 p.m. and 9 a.m. to 6 p.m. | Telephone: 435-668-5636 | All proceeds from this annual tradition of Christmas cheer, with trees decorated by local businesses, schools, and families, will go to the Hurricane Police Department Shop with a Cop Fund. Bid on a tree and support a worthy cause. There will be baked goods for sale, craft items and entertainment. Run Run Reindeer 10K, 5K and 1 Mile Fun Run – Ivins | Dec. 7 | 9-11 a.m. | Ivins City Park at Main Street and 100 North | This Fun Run provides an opportunity to help Toys for Tots, Ivins City and Red Mountain Running collect toys for deserving families this Christmas. Runners of the one mile fun run will have the chance to race Santa to the finish line and receive a prize if they beat him. Christmas Social at Tonaquint Nature Center – St. George | Dec. 7 | 10:30 a.m. to 12:30 p.m. | Telephone: 435-627-4560 | The spirit of the holidays will be celebrated at the Tonaquint Nature Center with fun holiday crafts ($1 per craft), yummy refreshments (50 cents), and pictures with Santa ($1.50 each). Storybook Cavalcade Parade – Cedar City | Dec. 7 | 11 a.m. | Main Street from 200 South to 400 North, Cedar City | The Storybook Cavalcade Parade is a Cedar City tradition. The parade was originally scheduled for Nov. 23 but was rescheduled to Dec. 7 due to weather, and advanced to 11 a.m. to accommodate the 1 p.m. football game between Southern Utah University and Northern Arizona. A children’s delight, the parade features 400 costumed characters, 30 floats, five marching bands, four balloons and walking groups, according to Iron County Today. Characters expected are: Darth Vader, Superman, Batman, Spider-man, a Transformer, Wolverine and Green Lantern, Mickey and Minnie Mouse, Donald and Daisy Duck and Pluto and Goofy driving special cars. Storybook tales depicted will include: “Snow White,” “The Wizard of Oz,” “Peter Pan,” “The Little Engine That Could,” “The Old Woman and the Shoe,” “Treasure Island,” “Where the Wild Things Are,” “Pinocchio” and “Tarzan.” The parade ends with Santa Claus. Annual Electric Light Parade “Christmas Vacation” – Moab | Dec.7 | Begins at dark | Telephone: 435-259-7814 | Everyone is welcome to the annual Christmas Parade. Browse the shops while you wait for the parade. The parade begins at dark and will travel from Moab’s Swanny City Park, 400 North 100 West, down Main Street to City Market. Winter Photography – Zion National Park | Dec. 7-8 | Telephone: 435-772-3264 | Enjoy Zion when the crowds are nonexistent. Learn the best spots to capture that special quality of southwest light that Zion has become famous for. Learn how to make your camera work for you as well as tips on composition, equipment, controlling depth of field and more. Small group with one-on-one instruction. Work in color or black and white for a new experience in contrast. Michael Plyler is the instructor of the class which meets at 9 a.m. at the Zion National Park Human History Museum. The fee for the class is $190. Know something we missed or have a tip for something fun happening this December? Send us the details to be included in our December event list! Looks drunk. Didn’t say is drunk. said looks drunk.